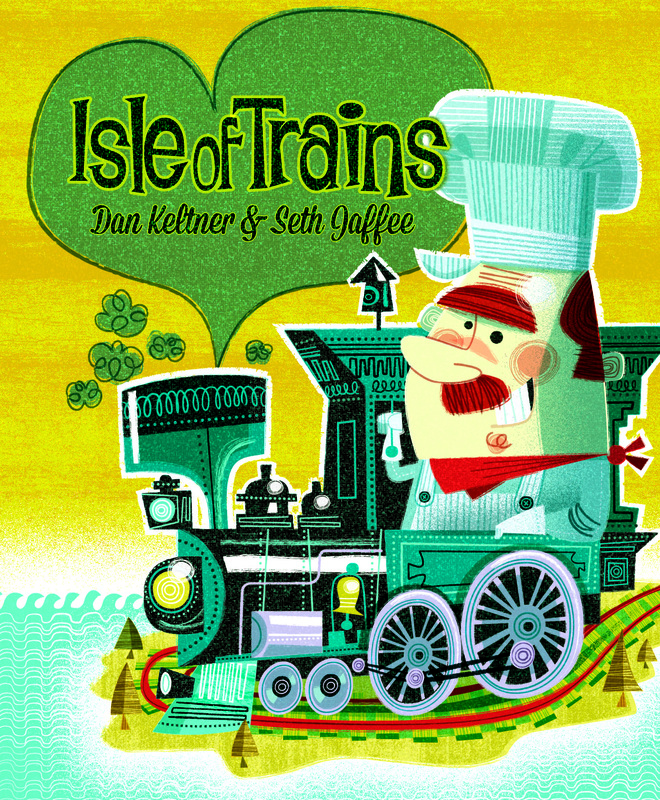 Today on Dice Hate Me, we’re taking a closer look at the design inspirations behind the games in the second three-pack of “Globetrotters”: Graham Russell’s The Fittest, J. Alex Kevern’s Easy Breezy Travel Agency, and Dan Keltner & Seth Jaffee’s Isle of Trains. Look for the Kickstarter for these games and the first Rabbit 3-pack right now! 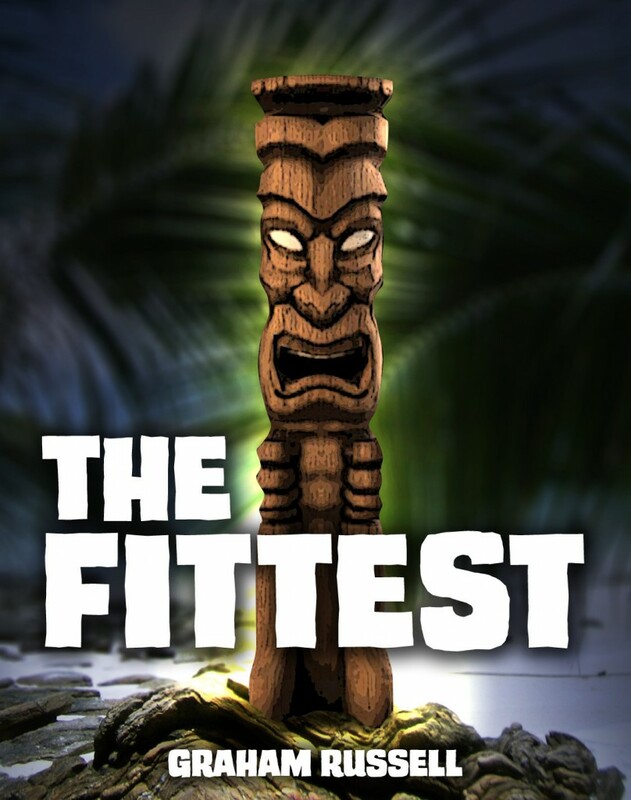 Graham: The Fittest is a game about reality competition shows, but without all that pesky strenuous physical activity or constantly-rolling cameras. It focuses on the reasons I think most people like reality TV: the tense negotiation, fragile alliances and reactions to situations for which contestants couldn’t possibly be prepared. Through the episodes of the game, players are presented with challenges that let them win prizes. To complete challenges, though, they’re going to have to convince other players to help, and since that means splitting the rewards, there’s always the temptation to build the smallest team possible and hope for the best. You know, this has been a while in the making, though not in any form you’d recognize if you play the game today. I worked with (Level 99 Games‘) Brad Talton on some projects in college, and while our design sensibilities often clash on a fundamental level, the collaboration really led to some interesting ideas. 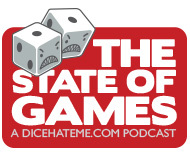 We had some games that were fun to play (if not particularly balanced, refined or at all able to write into coherent rules), but there was one dynamic that I thought had some merit and decided to keep working on over the next few years. At times, the game was about IT project management, an American Gladiators-like competition and even building an impressive high school transcript, but these were all frames for ideas that just weren’t clicking. So it sat for a while and I moved on to other things. It was dormant for about two years when you announced the 54-Card Challenge, and then things just kind of clicked in my head. The mechanics were cleaned up in an elegant way by restricting it to a game of that size, and when it was boiled down to its best elements, this theme just made sense and I ran with it. Those who’ve played the game already know that cards use the same number in a variety of different contexts for different purposes. Balancing the systems so that a card that’s a 4 makes sense as a Prize, as a Trial, as a Boost… it’s definitely a tough task. But that’s been rewarding work, especially when things start coming together. The other challenge for The Fittest is that it’s a large-group game. When you start playing a 54-card game with, say, six people, those components start to stretch thin fairly quickly. It forces you as a designer to make every action and context count. It’s totally about the table talk. While it can ruin some perfectly fun games (and I understand those who dislike it, because sometimes I do too), The Fittest embraces and thrives upon the idea of messing with other players’ heads. It’s also a negotiation game that, unlike something like Diplomacy, doesn’t make you absolutely hate everyone at the table. It’s understood and accepted that everyone’s stances are temporary and fluid, and that if you want to win, yours need to be too. Alex: Wanderlust abounds in Sheboygan! 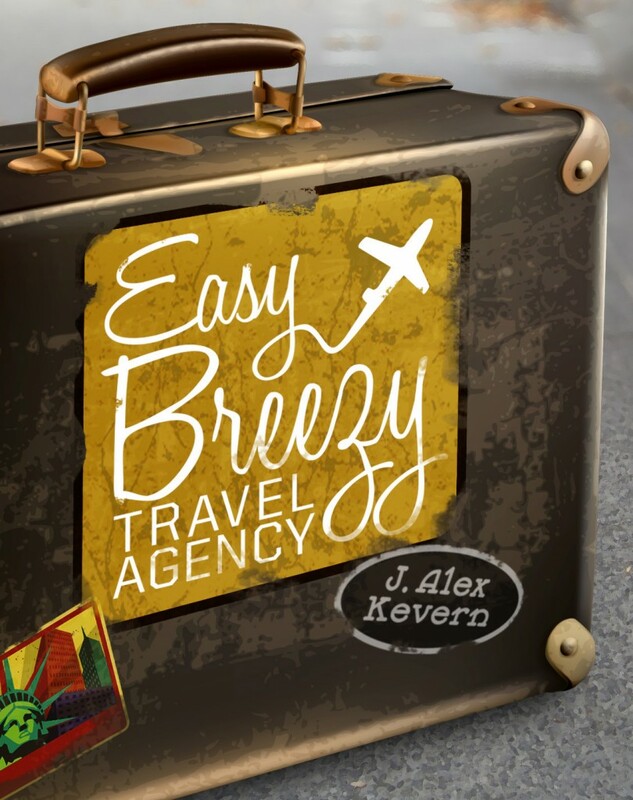 The Easy Breezy Travel Agency is here to accommodate, and you’re one of their top agents. You are competing over eager customers in order to send them on trips to fabulous destinations (and earn a commission, of course). The longer you wait to book a trip the more you can charge the desperate travellers, but if you’re not careful a fellow agent might just book that trip ahead of you. Whether it’s by land, rail, or air, Easy Breezy Travel Agency is a game of timing, opportunity, and happy vacationers. I developed the concept for what would become Easy Breezy a few months before I heard about the design challenge. It originally came about with an idea for a set collection game where you could only cash-in sets of a particular size at any one time, with external ‘shocks’ increasing their value the longer they sat unfulfilled. I coupled this with a limitation in the number of resources you could hold in your hand, with the rest placed in ‘storage’ where other players could potentially take control of them out from under you. The travel agency theme came to me on a whim when considering designs for the challenge, and it ended up fitting so well I can’t imagine the game with any other theme. Your hand became your office, the draw area became the customer line, and the storage area became the waiting room– where travel agents from across the hall could come lure customers into their own offices. The ‘size’ of the set became different types of transportation–planes, trains, and buses– and we were off. Easy Breezy Travel Agency was born! Easy Breezy was particularly tricky in this respect, because the cards are used for a number of different things– passengers, destinations, and to indicate the price of tickets. One of the biggest hurdles was balancing the number of passenger cards with the number of seats on the destination cards. After some playtesting and tuning, I settled on the current distribution, with the Free Rider cards helping to keep the competition for each destination healthy. I enjoy Easy Breezy because I seem to gravitate towards games with interesting trade-offs. It’s a classic bird in the hand versus two in the bush game, where your greed can sometimes pay off, but if you’re not careful it get can also get the best of you. Shuffling your customers between your office and waiting room can be a tricky process, and knowing when to recruit other player’s waiting customers becomes a big part of the strategy. For a 20 minute game there are some tough choices to be made, but the concepts are accessible enough that the game remains easy to teach to a wide variety of gamers. If you like set collection games that can be as competitive as you want to make it, there just might be a desk with your name on it in the travel agency! Dan: In Isle of Trains, players are train operators, building trains with the right mix of freight cars needed to complete delivery contracts before your opponents. Dan: I have two boys, Caleb, 8, and Ethan, 6. They both love trains and were always begging to play when we’d pull out the bigger Railroad Tycoon or Steam games for game night. While I love those games, they were too complicated and long for a family game, so I was inspired to create a simpler and shorter game that we could enjoy, but would still retain strategic depth and scratch that train-themed itch. One of the things I noticed when comparing how my boys played with their train sets against the majority of train-themed board games is that those games mostly assumed that a train was already assembled with the right mix of cars to be able to load and deliver any cargo. A lot of the fun with train sets, though, was actually building the train itself, and deciding on the right mix of engines, tenders, freight cars, and cabooses to put on your train. This led to the main first game objective – Focus on Train Building. Have cards for each type of Engine and Train Car that players can use to create their own trains. In addition, I wanted the game to have strong interaction between players in a positive, mutually beneficial way. No multi-player solitaire allowed. The key to this was the second game objective, which I feel is what makes this game so enjoyable for me personally. Players are incentivized to add cargo to other players’ trains for mutual benefit. The player loading the cargo receives immediate benefits of additional cards and bonus actions. The player whose train is loaded receives the benefit of being able to deliver that cargo later to complete delivery contracts for points. This creates a really fun dynamic where players are helping each other out, but are also faced with some tough decision points when deciding when and where to load goods to gain the immediate benefits themselves without helping out their opponents right into the winner’s circle. Dan: The original Isle of Trains prototypes had a wider variety of train cars and buildings, leading to a deck that was double the size allowed for the 54 card challenge. When I brought the game to a local game designers’ meeting, Seth suggested that IoT would be a great fit for the 54-card challenge, and shortly after, we agreed to co-design a 54-card version of the game together. It was a real challenge to fit as much strategic depth and variety of play as we could, while reducing the card counts and eliminating other aspects to stay within the design constraints. - We added a rule that allows players who don’t have the right card with a specific type of good to load any other good as a Wild by paying 1 additional card to the discard pile. 2. Similarly, we wanted to providing enough variety of delivery contracts while still having enough train cards in the deck for 4 player games. We resolved this by using double-sided contract cards. Once you claim a contract from the publicly available central pool, you get access to a secondary contract on the back side of that card, which only you can complete. Furthermore, you’re required to complete that secondary contract before starting a new one. Dan: Isle of Trains provides a new take on Train Games, in a quick, easy-to-learn, accessible Euro-style game that usually plays in 30 to 60 minutes. I think players will really enjoy getting to create the best train they can, and will also find the interaction dynamics to be a lot of fun. If you build the best train cars with the most beneficial actions, other players are going to be falling over themselves to load cargo onto your train, and that’s going to help you win. It’s been a lot of fun to design, and even after tons of playtests and games under my belt, I’m still uncovering new strategies and approaches that have kept it fun to play each time. Seth: I personally love multi-use cards in games – I feel like it’s a really efficient use of components, and it automatically lends opportunity costs to using a card in one way or another (if I spend this card, then I cannot build it later). The core of Isle of Trains is that each card can be built, spent, or loaded onto a train car. This is attractive to me from the outset, and the rest of the game just fits well with that, making each of those options attractive for each card. You’ve really done a great job of branding your categories of games. I look forward to playing these titles from the Rabbit line when they are published. I also can’t wait to see what the Dragon line produces in the future. 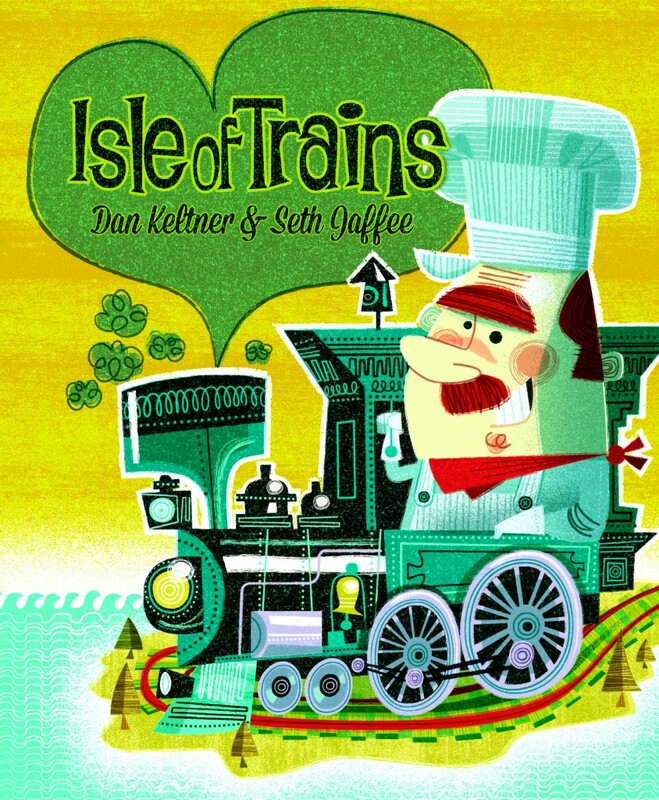 Loving the art so far, especially Isle of Trains. Easy Breezy Travel Agency fits in really well with the other DHM games, too. This is genius! I love how you created the game and how the players should try different tactics and strategies. Congratulations for this and I couldn’t wait to play it.